I created sheet music for the Piano Intro of Tangerine Dream's Ricochet part 2: Ricochet Part 2 Intro. The following albums have been produced by myself and are available on request for free. Contact albums@urbainczyk.de to order an album. 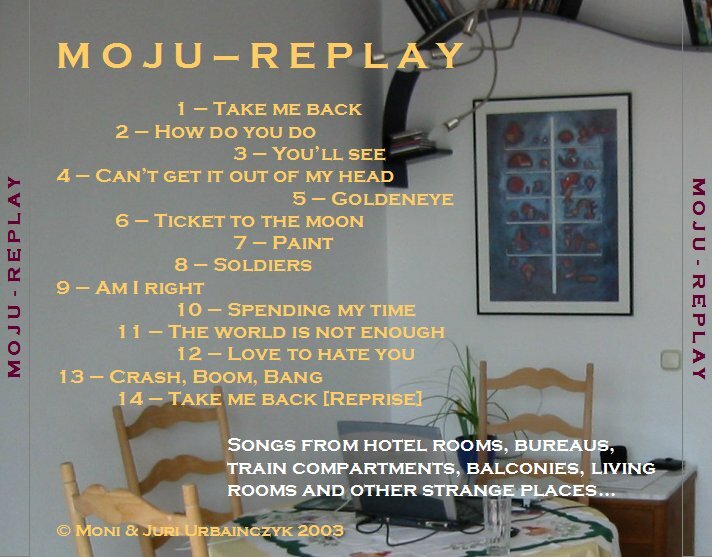 The songs which are written by myself (this excludes the album Replay) can be purchased for further use. If you are interested please contact the above email address. The highlighted tracks are available for download. Just click on the respective link. 09 Hecates Tholus Ok, so eventually there is another release out now. 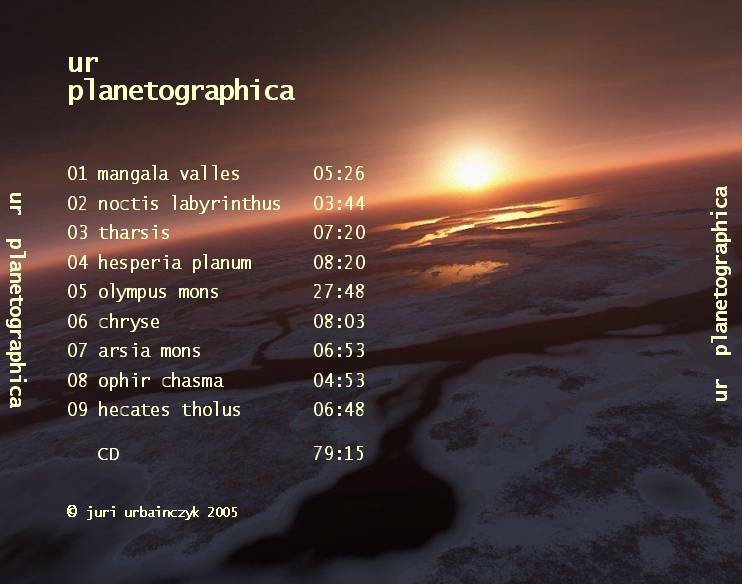 The album planetographica features nine tracks written in the years from 2002 until 2005. Actually, I wrote a lot of songs during that time and was also busy doing the Replay album and other things. Finally, I ended up with so much music, that it was really hard to sort out what to put onto the album and what to leave out. 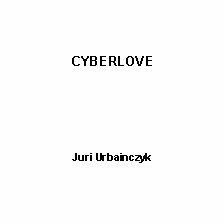 During the course of the production I realized that I wanted to do some sort of chillout album - at least one that was dominated by more slow music which could also be listened to in the background while having conversation or which even could be used as soundtrack. Because of that I decided to leave most of the fast and attention-drawing pieces out and also added some music which is nearly without any percussion and drums. 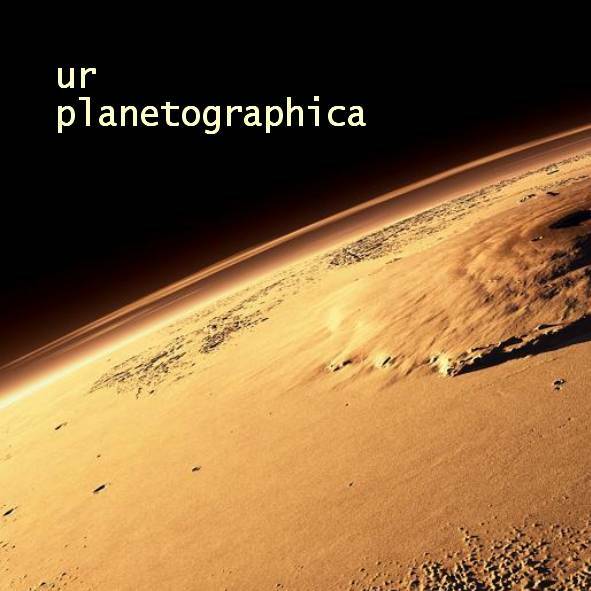 planetographica is a concept album. It's theme is the features and landmarks of the planet mars, which lend there names for the songs. It's downtempto and chilly feel very much reflects the sight and sound of the surface of our neighbour planet. The song Olympus mons also is worth mentioning because it is more than 27 minutes long and has 100 bpm speed all over the track. I intentionally wrote the long track to refect the size of the montains which gave it's name. 14 Reprise This album includes pop songs and is also the first to use singing on all of the tracks. 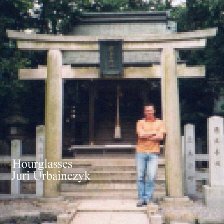 It features vocals by Monika Urbainczyk and a by myself. 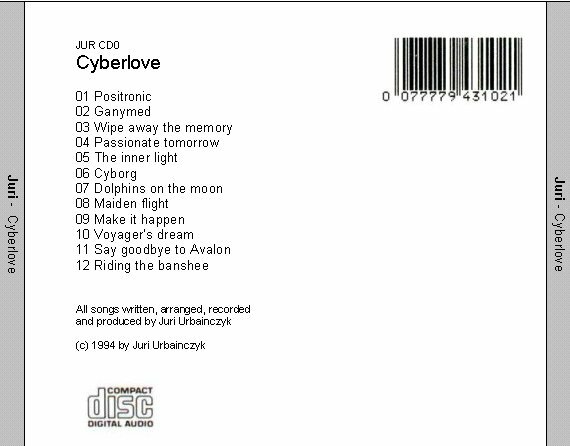 The idea for this album came to us nearly by accident when we were just playing around a little bit with recording voices on hard disk. It turned out to be so easy and really sounded good, so we took it a step further and recorded a whole song (Always from Erasure's I say, I say, I say). Later, this first song didn't really fit into the rest of the recordings and eventually we left it out of the album. I have to point out that this album was only recorded because of the fun of it and is not intended to be sold or otherwise to be used commercially. I am sure that someday there will be a follow-up tp this project. 05 Nea Agora (Remix) This album was conceived and produced in as much as ten days. 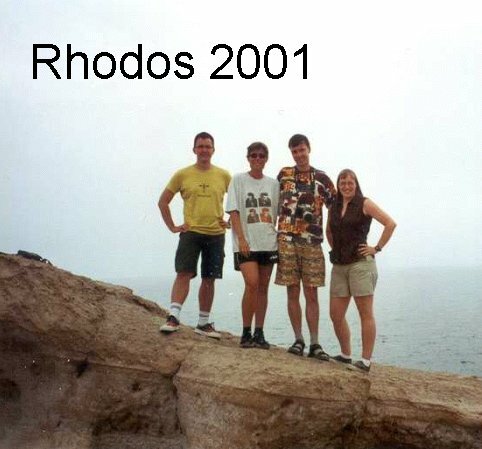 It is essentially the soundtrack for a holiday video filmed on the Greek island of Rhodes. Thanx to Martina Haase for the inspiration. 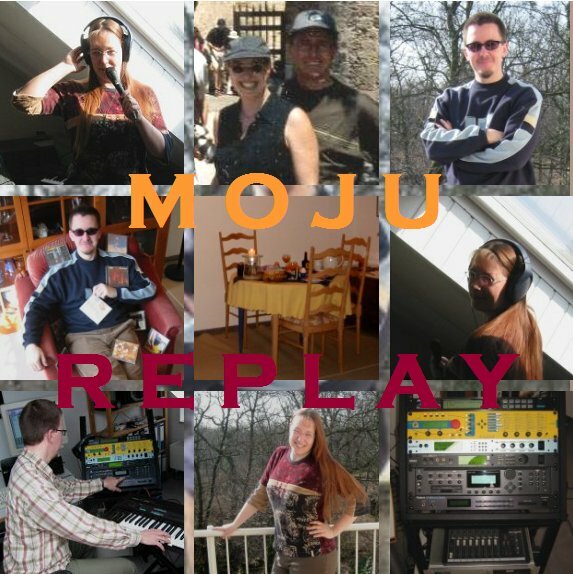 It is also the first album to feature the Micro Q virtual analog synthesizer which makes itself heared on nearly every track. I love the Internet: it took me only ten minutes to find the greek vocal samples used in the song Nea Agora. 11 At dawn This album contains material which was written over a very long period of time. This of course leaves its mark in the sounds and the songs of the album. Some of the pieces were even conceived earlier than the tracks on the Merl Recordings album. Thus, the whole appears not to be one piece but rather a collection of very different songs. 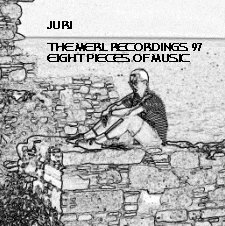 08 T.ekn.O.tel.O This album was originally recorded for CD by a friend and former colleague of mine, Lothar Merl, hence the name. The primary recording (taken from the instruments) was done using an hifi video recorder, which produced surprisingly good results. 12 Riding the banshee This actually was my first album, originally mastered on video tape using a hifi video recorder! 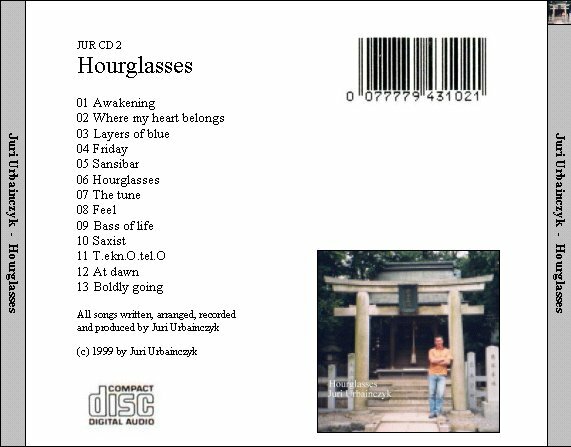 The original copies were distributed as audio cassettes :-() After some years I eventually found the time to digitize the recording and restore it to CD. In those days I didn't really own much equipment, especially no reverb or echo effect box so the songs sound a little bit "dry". But I used an real and true Roland Jupiter 6 on most of the recordings (which was used for the impressive bass sounds on Positronic e.g. ).